How do you know spring is here? If you live near Skagit County, it’s the blooming tulips that paint a spectacular landscape of color across the farm fields! The Skagit Valley Tulip Festival is a community event in celebration of these vibrant flowers and is held from April 1st to April 30th each year. Thousands visit the tulip fields and take part in the horticultural fun, with the busiest crowds forming on the weekends and when the sunshine is in full swing. Visitors are welcome to photograph the beautiful rows of tulips, stroll the fields, picnic, browse the garden shops and more. Designated parking areas are available near each of the festival fields listed below. Run by the Washington Bulb Co., the largest grower of bulbs in the United States, RoozenGaarde is a beautiful 3-acre display garden that houses an authentic Dutch windmill. Photo ops abound! The RoozenGaarde Display Garden has gorgeous planned gardens where 100s of photographers take pictures of children and families each year. Their flower varieties are labeled so you'll know which ones are your favorites and you can even pre-order bulbs for the 2020 growing season while you are there. Pets are not permitted. Once you purchase admission you can use their admission ticket to park in any of the parking lots they own near other tulip fields so you can get out of your car to view them on the same day. You can still park in their parking lots even if you did not go to the actual display garden, but the parking fee will be $7 during weekdays and $10 on weekends. The garden and gift store is open 362 days a year. Military with ID saves $1 on admission. During the Tulip Festival, you can enjoy everything Tulip Town has to offer. Children will enjoy riding the trolley through the tulip fields for an "up high" view of the flowers (adults $2/children $1). 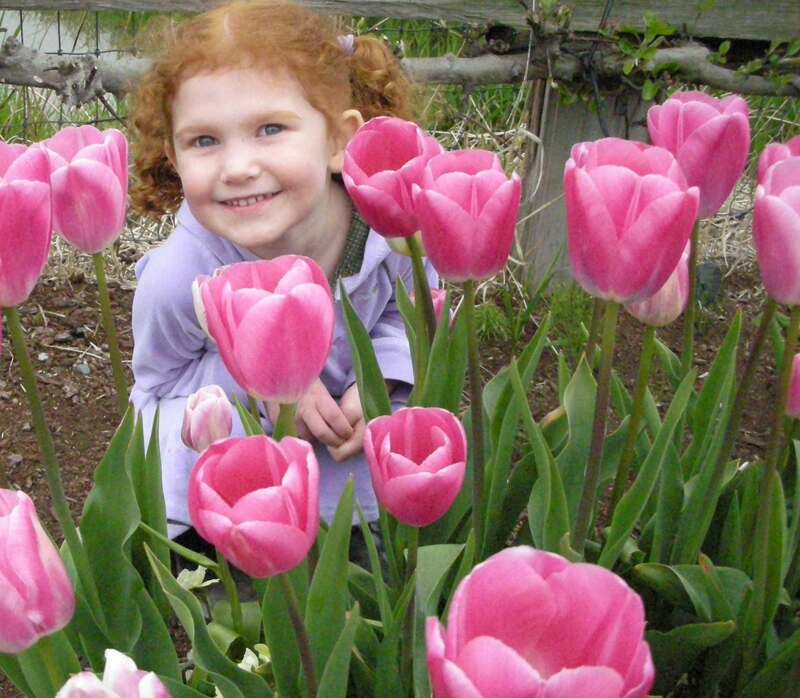 This is a great way to see all of Tulip Town's fields if you have babies or toddlers in tow. You can also walk around the tulips to see them up close. Beautiful pictures await you! Tulip Town's display garden has a windmill that looks like it's straight from the Netherlands! Tulip Town also has a field where you can fly your kite, so don't forget to bring one or you can buy one there. They have professional kite fliers in the field on the weekends. Tulip Town's large indoor area includes tulip displays and a small cafe. Kids can get their face painted (not free) while you enjoy a cup of coffee. Tulip Town holds a Locals Only Night during the Tulip Festival as a thank you to Skagit Valley residents for being gracious to our Tulip Festival guests during the month of April. Pets are not allowed at Tulip Town. Not necessarily part of the Skagit Valley Tulip Festival, but definitely a stop to add on your way there or home is the WSU Discovery Garden. Open dawn to dusk 7 days a week, the Discovery Garden is a great place for inspiration and to let your children explore. There are many different styles and types of gardens represented here, including a children's garden with a goal to educate children on gardening. Where are the tulips in bloom in Skagit Valley? You will find the Skagit Valley tulip fields located on the west side of I-5 between Highway 20 heading west out of Burlington ending at the La Conner-Whitney Rd. and then bordered on the south side by Chillberg Rd. There may be a few tulip fields that fall outside of that VERY irregular rectangle. You can find all of the fields on the RoozenGaarde Bloom Map. The famous RoozenGaarde Bloom Map is really all you need to lead you to Skagit Valley's tulip fields. They "light up" the fields that have flowers currently blooming in them by coloring in the flower on the map. You will risk a ticket if you park on the side of the road to take pictures of the tulips and walking in the fields is STRICTLY PROHIBITED! See parking instructions under the RoozenGaarde info above. Check the RoozenGaarde Bloom Map before you leave to find out which tulip fields are in bloom! Q: What are the dates of the Skagit Valley Tulip Festival? A: The Skagit Valley Tulip Festival runs April 1st - April 30th EVERY YEAR although we cannot control the tulips! The tulips may be blooming earlier or later than planned depending on our Spring weather, so it's always a good idea to check the Bloom Map to see exactly what's happening and when the best time is to visit. Q: What is the best time to visit the tulip fields? A: Anytime is a great time to visit during the month of April, but the busiest days tend to fall on the weekends. If you’re hoping to visit when there’s less of a crowd, aim for a weekday and arrive early, when the fields first open for the best parking spots and shortest lines to get in. Admission prices to the display gardens are also cheaper on weekdays. Keep you eye on the RoozenGaarde Bloom Map to make sure there are fields of tulips in bloom when you plan to visit us! Q: What time do the tulip fields open each day? A: RoozenGaarde is open 9am-7pm every day throughout the Tulip Festival and Tulip Town is open 9am-5pm. You can drive by the fields any time of day. Sunrise and sunset are particularly spectacular over the tulip fields. Q: How much does it cost to get into the tulip fields and how much is parking? A: The tulip fields are free to view, but parking is designated lots ranges from $7-$10. Admission pricing for all of the Tulip Festival Display Gardens is listed up above under the individual descriptions of each business. I would encourage you not to park on the side of the road to view the tulip fields. Parking beside the fields is illegal and you may get a ticket. You can use your Roozengaarde admission ticket to park for free in any of their parking lots on the day you purchased your ticket. Bring a picnic from home and stop at Snow Goose Produce on the way out of town for one of their GIANT ice cream cones! Q: Can you bring a stroller to the tulip fields? 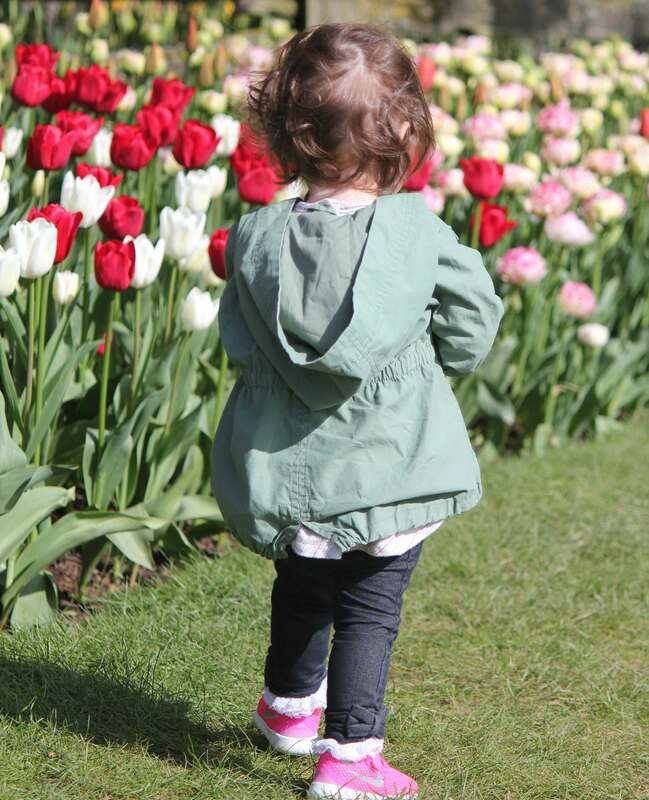 A: You can bring a stroller, however the fields where the rows of tulips are displayed is typically rough terrain made up of a mix of rocks and dirt/mud. It is advised to use a baby carrier or hiking backpack for little ones. 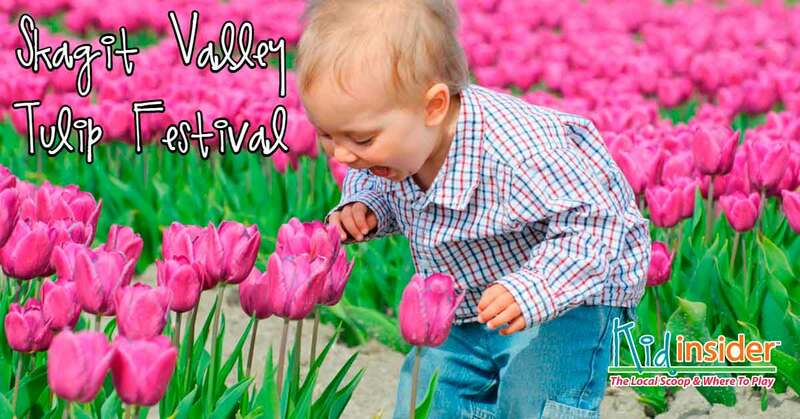 Q: Is the Tulip Festival kid friendly? A: The festival is a wonderful place to bring the entire family to enjoy the beauty of the tulips and surrounding farmlands. There is plenty of grassy area for children to run around and play. Take extra clothes and some towels for clean-up, I can guarantee you that the fields will have mud in them and mud is a kid-magnet. Don't worry about it and just let them have a good time. Pictures of muddy kids make people smile! Keep in mind that fields are not stroller friendly unless you have an ORS (off-road stroller). Q: What shoes are best to wear in the tulip fields? A: The fields are a mixture of grass, rocks and dirt. Boots are best or any shoe that is designated for outdoor wear-and-tear. Q: Can you bring a camera/are photos allowed at the Tulip Festival Display Gardens? A: Yes, outside photography is welcome. Professional photographers must get permission ahead of time to take pictures. Q: Anything other tips when it comes to the tulip fields? A: All walkways are marked appropriately. Farmers ask that you please do not walk in between the rows of tulips as this could result in damage to the flowers. Q: Are pets or drones allowed at the Tulip Festival Display Gardens? Q: Where can I buy tulips? A: Both RoozenGaarde and Tulip Town have tulips for sale. You can also find bunches of tulips at most of the local grocery stores. Q: Are there any other local flower festivals going on? A: Another fun find is the La Conner Daffodil Festival which features the first blooms of Daffodils in March. April 1st, 2nd & 5th: Spring Break Stay & Play Open Gym @ Morrison Gymnastics - 1pm-4pm - drop the kids off to play during open gym. 3 hours for only $10! April 6th: Tulip Run - Beautiful scenery and a fun run for all ages up at the Skagit Regional Airport. April 6th-28th: 4H Petting Farm - Open every Saturday & Sunday 10am-4pm. Suggested donation of $5/person. April 6th: Parents Night Out @ Ground Zero Gymnastics - 5:30pm-9:30pm - Drop the kids for a date night while they play in the gym and watch a movie. Call 360-416-6623 for reservations. 6th-29th: Kiwanis Salmon BBQ - Legendary salmon BBQ and fixings! Happening every day during the Tulip Festival at Hillcrest Park in Mount Vernon from 11am-7pm. 9th: Community Free Day @ the Children's Museum - Outlet Shoppes, Burlington - Monthly sponsors enable the Museum to give everyone free admission today. 10th: Locals Only Nite - Tulip Town, Mount Vernon - Skagit County residents can enjoy Tulip Town free. 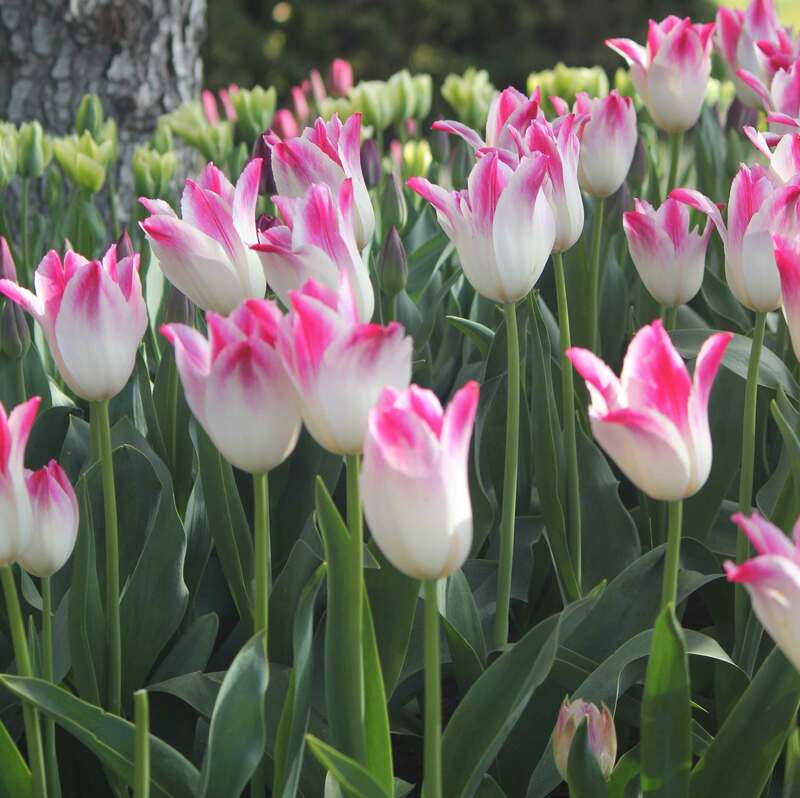 13th: Tulip Parade - Downtown La Conner - Enjoy this Not-So-Impromptu parade with your family! 13th: PACCAR Technical Center Open House - Farm to Market Road, Mount Vernon - The only day PACCAR lets the public in to see what they're up to. 20th: WA State Parks Free - Spring Day - Discover Pass not required for parking. 20th: Kids Giant Garage Sale - Kids selling to kids, what could be more fun! Bring your kiddos to the Burlington Community Center on April 20th between 9am & Noon. 22nd: WA State Parks Free - Earth Day - Discover Pass not required for parking. Lindsay Bartis is a mother of two young kids and lives in the Mount Vernon area. Her husband serves in the U.S. Navy and she was born and raised in the Greater Seattle area. 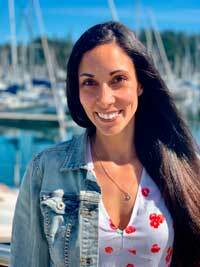 After being stationed in Florida for three years, she was thrilled to move back to the Pacific Northwest, the place that will always feel like home. She has been writing for various newspapers, magazines and online publications for nearly a decade. Lindsay is currently a stay-at-home mom who loves to stay active in the community. Skagit Kid Insider is how she stays up-to-date on all the fun, new activities and kid-focused events offered in the area. When you have two kids under the age of four, you have to keep them busy!